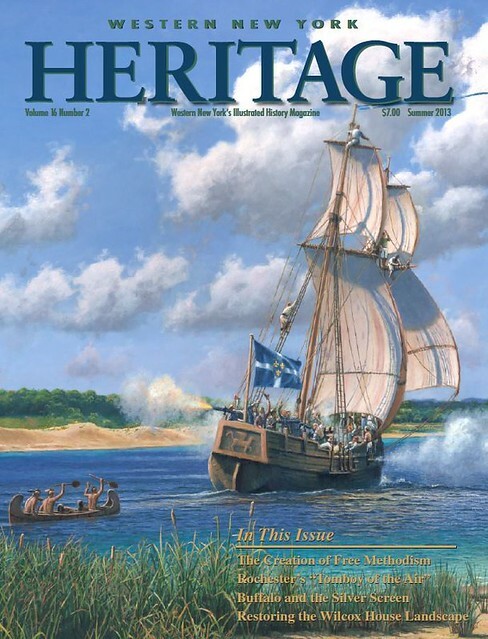 This is the first of two posts enhancing my upcoming article in Western New York Heritage magazine, to be published in the Summer 2013 issue. Original research took place beginning in 2001 and was updated in 2012. Though the article lists only my name as an author to this project, if not for the efforts of a score of others—including Matthew Biddle, who edited the most recent version—there would be no completed product. At Canisius College, thesis advisor Dr. Bruce Dierenfield contributed the greatest amount of input, as well as the most important. Dr. Larry Jones and Dr. Robert Butler, of the History Honors and All-College Honors programs respectively, were also an influential source of guidance. The aid of a number of United Methodist and Free Methodist Church members helped as well, especially in the earliest stages of research. Thanks must go to archivist Kate McGinn at the Free Methodist Church’s Marston Historical Center in Indianapolis, as well as Marston assistant archivist Dr. R. D. Simpson and Howard Snyder of Asbury Theological Seminary, who offered their expertise. Charles H. Canon III of Roberts Wesleyan College also helped provide access to Free Methodist rare book rooms and special collections. The research assistants at the Buffalo and Erie County Historical Society and the Special Collections Department of the Buffalo and Erie County Public Library deserve a nod of gratitude as well. Reverends Jacob Denny and Matt Stengel at the Historical Archives of the United Methodist Church’s former Western New York Conference went to great lengths to find and deliver the rarest of the documents used in this paper. Reverend Rick Rouse of the Akron Free Methodist Church allowed temporary use of his own materials, as did Margaret Schrock and the late Catherine and Charles Taylor. Special thanks must be given to Jerry Schrock for phone numbers, fact verification and special arrangements, and Jeffery Gross for his assistance in editing the final draft. It is ironic that I must thank an unknown person at the Akron Free Methodist Church who, about twenty years ago, gathered the oldest and rarest texts in that church’s library and left them in boxes on the curb. If not for this author’s fascination for history at a young age and his parents’ acceptance of their son’s pack rat behavior, those books and their history would now lie, wasted, in a landfill. Just a few church histories thrown out by the Akron Free Methodist Church in the 1990s. The last shall be first. Most importantly, I wrote this thesis with the late Rev. Thurber Thayer in mind. 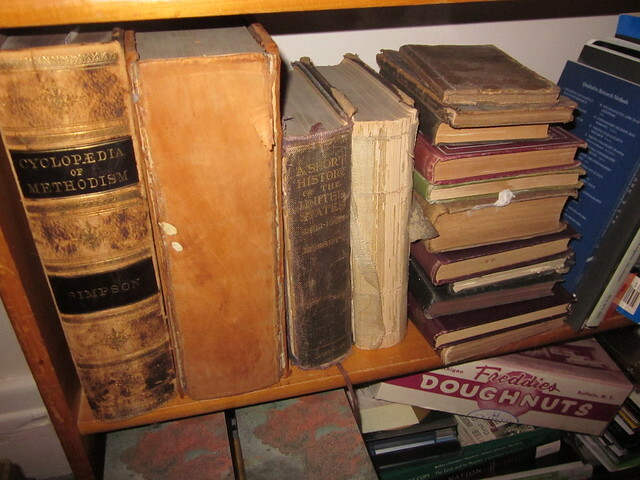 Though he passed away several years ago, he possessed a gracious soul and possessed a wealth of knowledge about Genesee Methodism; the texts rescued from the trash were originally donated from his personal library. Rev. Thayer’s devotion to his Church and his God will not be forgotten by those who met him. While an amateur attempt, this project was the best way I could think of memorializing him. This entry was posted on July 3, 2013 by Fred Schrock. It was filed under Uncategorized .